Registration is restricted to US military and law enforcement personnel. Crime scenes related to illegal narcotics present unique issues for investigators. Because drug crime scenes could potentially lead to transnational narco-terrorism investigations, specific drug-related crime scene investigation training is essential. Expectations of the public and the courts have risen dramatically over the last several years in the area of physical evidence collection. Working a drug-related crime scene is a process that involves a broad range of skill sets with a heavy emphasis on intelligence analysis, evidence collection, and an understanding of the laboratory analyst's capabilities. Evidence collection and chain of custody are essential to building a case for the successful prosecution of transnational drug trafficking organizations. 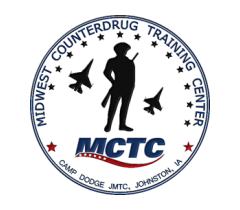 The purpose of this course is to train law enforcement personnel, especially counternarcotics officers with the skills needed to locate, identify, document, collect and preserve any crime scene evidence with an emphasis on drug-related evidence. Drug related cases can also lead to other crimes such as thefts, robberies, arson, shootings and even homicides. Upon completion of this training, the student will possess the fundamental skills necessary to process any crime scene and collect a variety of different types of physical evidence, and in particular, drug-related crime scenes. Fundamentals of Drug Related Crime Scene Investigation is a 5 day (40 hour) course. 1. Students should wear appropriate casual clothing for practical exercises conducted both inside and outdoors. PLEASE NOTE: clothing may become soiled or damaged during these exercises due to weather conditions and/or chemicals. 3. Students are asked to bring approximately 12 different items to be processed for fingerprints. These should include flat, curved, smooth, textured, porous, non-porous, glass, plastic, etc. Anything that you might encounter as evidence during your investigation.